Clementine 0.4 Rocks! I Love Open Source! Most of you probably haven't heard about Clementine before. 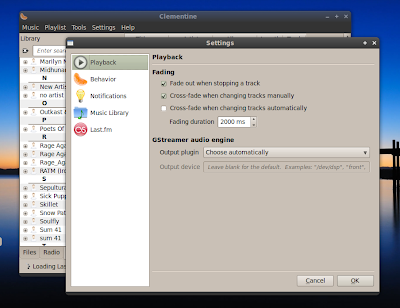 But every linux music enthusiast must be aware of Amarok 1.4, which for many like me, was the best open source music player for Linux. 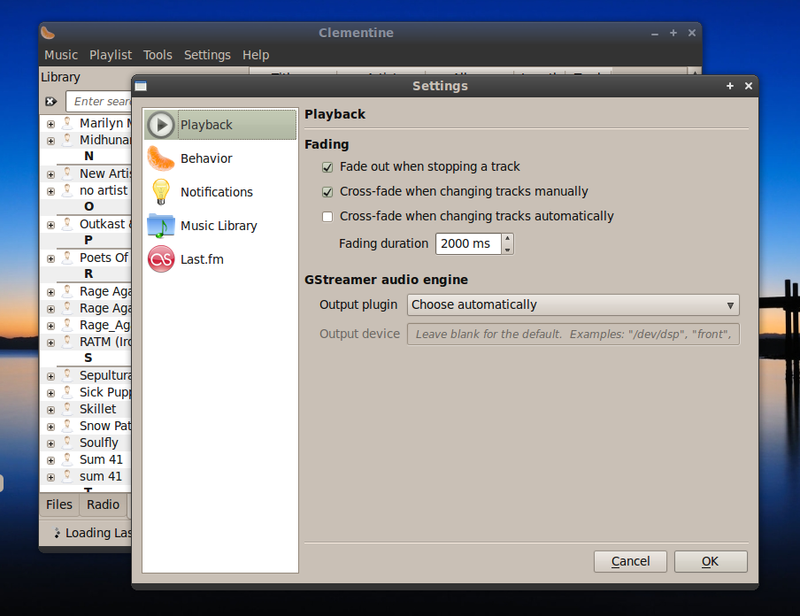 Even though it was KDE app, I used it as my default music player in Ubuntu Gnome. It was that good. But everything changed once KDE developers decided to rewrite Amarok. But hey, Amarok 1.4 was open source to start with and in theory an open source app never really dies. Clementine was born from the ashes of Amarok 1.4. Clementine is actually a port of Amarok 1.4, with some features rewritten to take advantage of Qt4. After giving Clementine a spin for an hour or so I have to say I was deeply impressed. This is my old Amarok 1.4, its even better. And it is undergoing rapid development. Clementine is still a KDE app though and have a number of KDE dependencies as well. The default Files/Radio/Library menu tree is simple and works great. And yes, Clementine does have Last.fm scrobbling support as well. What's New In Clementine 0.4? 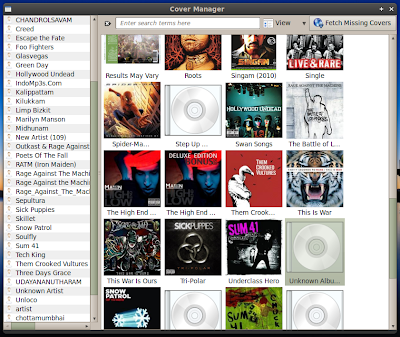 Support for multiple, tabbed playlists. Support for loading and saving XSPF, M3U, PLS and ASX playlists. Fullscreen visualisation support using projectM. Magnatune integration - search, stream and download from Magnatune's collection. Music transcoder that can convert your music to mp3, ogg, flac, spx, 3gp or m4a from any format that's supported by Clementine. ReplayGain support for volume normalisation. Use icons from the desktop icon theme where possible. 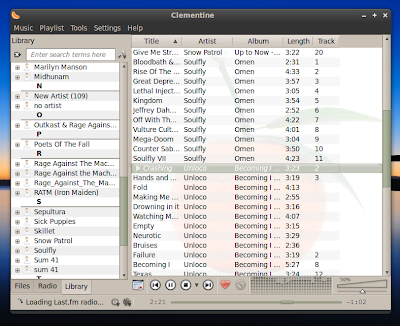 How to Install Clementine Music Player in Ubuntu 10.04 Lucid Lynx From PPA? Please note that, the latest Clementine 0.4 in not yet available in PPA yet. But it soon will be. Following steps will fetch you Clementine 0.3 Edit: Clementine 0.6 is released and you can install it in Ubuntu Maverick, Lucid by doing the following in Terminal. You can alternatively download latest Clementine 0.4 directly in .deb format. Simply double click on the downloaded deb file to install Clementine 0.4 in Ubuntu. 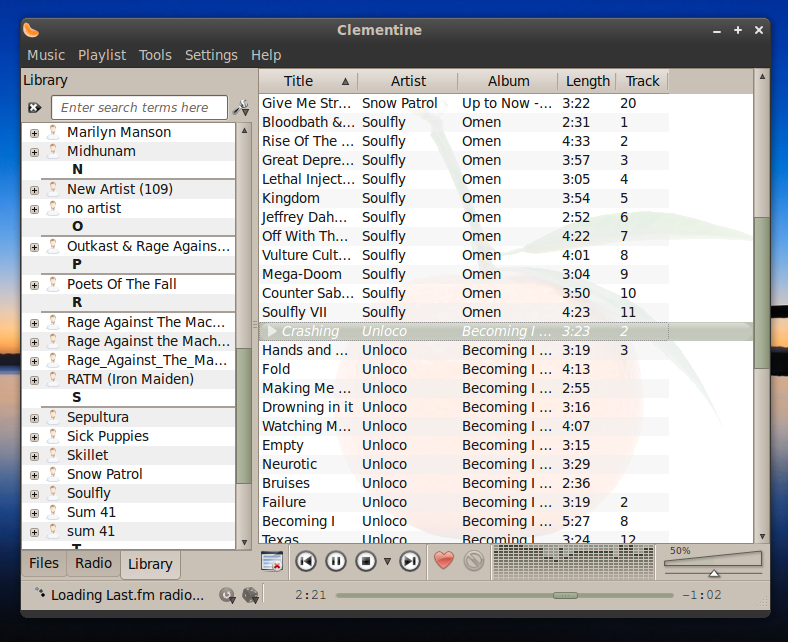 Here is another good review of Clementine 0.4 by briancarper. Top 5 Must Have Multimedia Apps For Ubuntu[Newbie Guide].